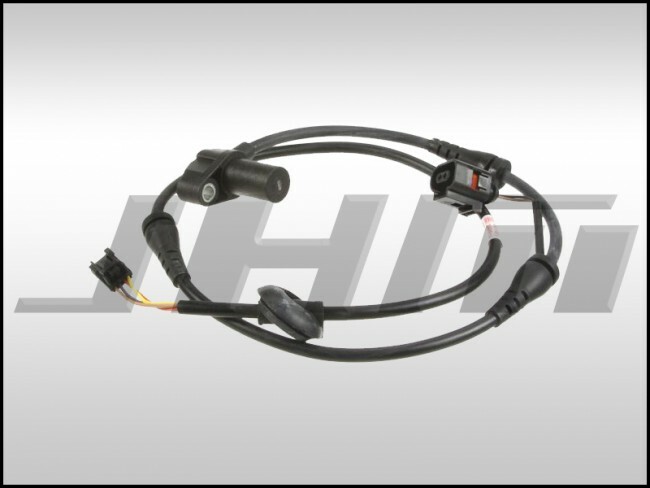 This is a high quality, OEM replacement Front Wheel Speed Sensor for your B7-A4 and B6-B7-S4-RS4. Made by Febi-Bilstein. One car will require two (2x) sensors. Fits driver and passenger side. OEM Part Number is: 8E0927803B. Note: There was a VIN split for this part on A4s. This part is for all cars with a VIN greater than 8E-4-000 001. This usually means any 2004 and later car but we have seen 2003 cars require this part.